There’s a lot of emphasis placed on the NFL draft—and for good reason. Rookie contracts are team-friendly and if you happen to find a few Pro Bowlers—let alone Hall-of-Famers—in the draft, you can go from basement-dweller to contender in a hurry. Here are the 10 best team drafts since NFL went to a seven-round format in 1994. The Vikings got one of the best receivers in the history of the game when character concerns helped Randy Moss slide all the way to 21st overall. The sixth-round choice Birk made six Pro Bowls. Meanwhile, Faneca was a six-time All-Pro at guard for the Steelers, and Ward was a four-time Pro Bowler and the heart and soul of the team until he retired in 2011. Dunn was an ultra-quick back who made three Pro Bowls and rushed for over 10,000 yards in his career. Barber made five Pro Bowls at corner and was a three-time All-Pro selection, who played his entire 16-year career for Tampa Bay. Bush, the second overall pick of the draft, never fulfilled his promise at running back for the Saints but was still pretty good. Meanwhile, Evans was a four-time All-Pro, Colston has been a starter from Day 1, and Harper made a pair of Pro Bowls at safety. All were on the Super Bowl-winning team of 2009. Wilson is quickly challenging Andrew Luck as the best quarterback of this draft. Meanwhile, Wagner (two Pro Bowls), Irvin, and Sweezy, have formed a defensive front that’s allowed the Seahawks to get to two straight Super Bowls and win one of them. This, combined with a stellar 2010 class and a 2011 draft haul highlighted by Richard Sherman, is how you build a juggernaut. The ever-consistent Martin was the real steal of this draft, even though he bolted the Patriots for the Jets after three seasons. Law made five Pro Bowls and was a two-time All-Pro at corner, while Johnson and Wohlabaugh were solid contributors to a good Patriots team in the late ’90s. Although it’s only been six years since these three were selected, they’ve each made at least one Pro Bowl. While Sanders did his with the Broncos, the Steelers have held onto both Brown and Pouncey, who are also two-time All-Pro selections. New Seattle head coach had to pass on his former safety at USC, Taylor Mays, in favor of Texas’ Earl Thomas but it surely was worth it. Thomas is a three-time All-Pro, Okung was a Pro Bowler at tackle, Tate was a Pro Bowl receiver, and Chancellor was another late-round gem—a four-time Pro Bowl selection. This is how you build a winner. The Chargers, remarkably, found a pair of probable Hall-of-Famers in the first two rounds here. It would have set them up for a great future had they held onto Brees and used the 2004 first-round pick on someone other than Philip Rivers. Instead, Brees went to New Orleans for nothing and the Chargers saw him lead the Saints to a Super Bowl win, while emerging as the third-best quarterback behind Peyton Manning and Tom Brady along the way. Only three Hall-of-Fame players were available in this draft and the Tampa Bay Buccaneers managed to grab two of them. The four-time All-Pro Sapp fell to Tampa Bay at 12 because of a positive drug test. The Bucs originally held the seventh pick but traded back with the Eagles, who selected Mike Mamula. They hit it big again when they nabbed Brooks with the 28th pick. 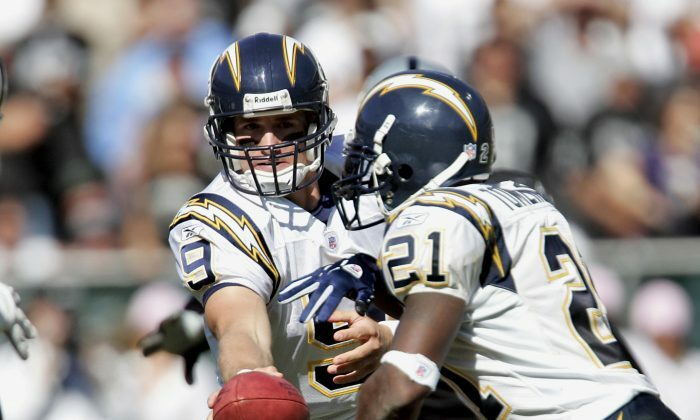 The two helped form the foundation of a great defense that played a big role in the team’s 2002 Super Bowl win. The fourth-overall pick Ogden played 12 seasons in the NFL—all with Baltimore—and made the Pro Bowl 11 times. Lewis, who was taken with the 26th pick, also played his entire 17-year career with the Ravens, making 13 Pro Bowls and winning the NFL’s Defensive Player of the Year twice. The two combined for 11 All-Pro selections and won three Super Bowls between them. Not every NFL star was a first-round pick.